Oussama Diab is a Palestinian artist who addresses the contradictions and obstacles of political conflict, globalisation, and exile through playful symbolism, references to popular culture, iconic imagery, and narrative structures. With each new series he adopts a different painting style, reflecting the impermanent nature of art as it becomes increasingly conceptual and further dematerialized. 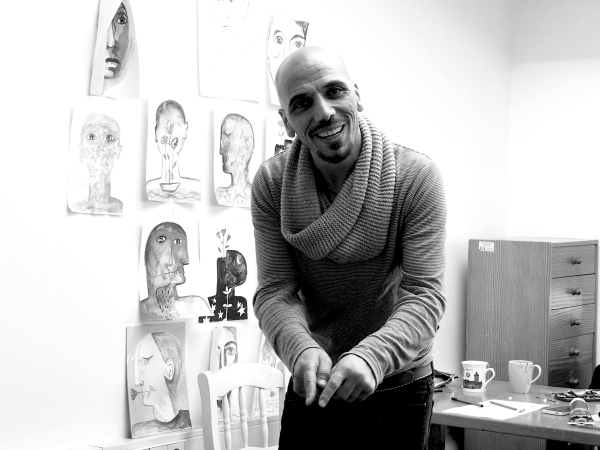 Born in 1977 in Damascus, Oussama Diab lives and works in the Netherlands. He graduated in 2002 from the Faculty of Fine Arts in Damascus and has featured in solo and group exhibitions throughout the Middle East and is the recipient of numerous awards.